The single question layout looks great and runs smoothly, until it runs into the upload function. 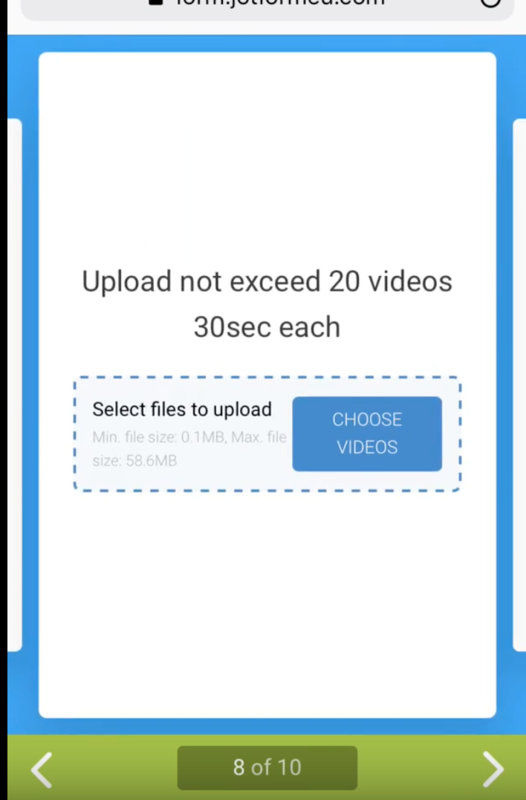 The upload button is now small, no control for the look and what's with the stitching framing around the button?! This all looks very silly. The video will show you my experience. To me that doesn't seem in line with the simple and clean look of the single question / jotform card layout? One would expect it to look something like this. Thank you for your feedback. I have now forwarded this as a feature request to our backend team. Please note that we can't give an ETA for when this will be implemented. Feature requests depend on the workloads of our developers and popularity among our users. But rest assured we will inform you once this feature becomes available.